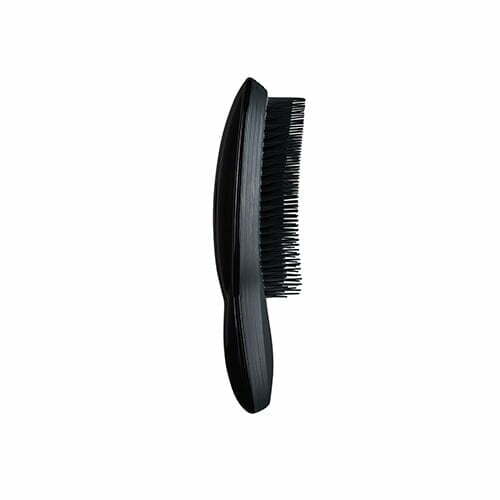 The Ultimate in stylish Black is our fabulous new hairbrush designed to dry-style the hair. Offering the perfect finishing touch, The Ultimate is created for dry-styling and dressing your hair. The unique teeth are longer with softer tips which lightly detangle and smooth cuticles for a high shine. It’s designed to achieve perfect up-dos, back-brush in volume and texture and to maintain and blend in hair extensions, clip-ins and weaves. Easy to hold, simple to use and all you need for that final flourish, The Ultimate hairbrush finishes your look in style.